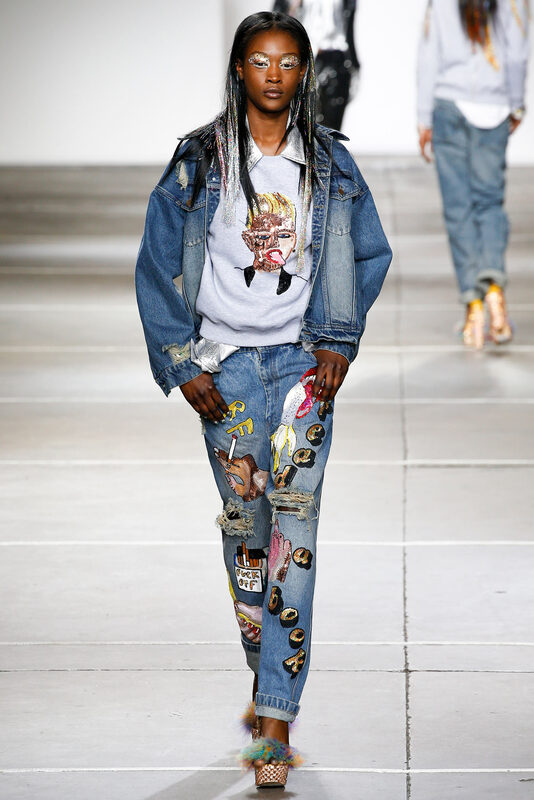 The 32nd look of the Ashish Spring/Summer 2015 Show was a nod to Miley Cyrus. 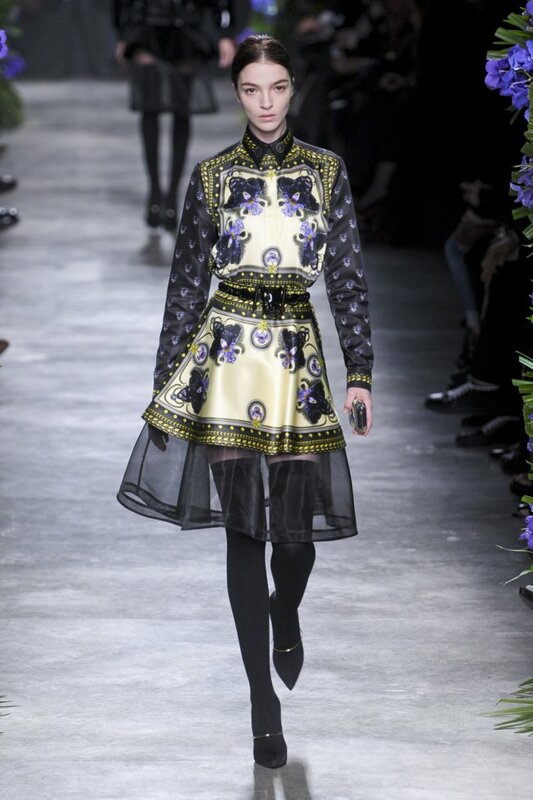 The Maxime Simoëns Autumn/Winter 2013-2014 Show was a tribute to Pyotr Ilyich Tchaikovsky’s « Swan Lake ». Aqua’s « Barbie Girl » was one of the references of the Moschino by Jeremy Scott Spring/Summer 2015 Show, which paid homage to Barbie™. To read about other Barbie™-inspired collections and items, search for the « Barbie™ » post that I have published on September 19, 2013. SALEM, the witch house band from Michigan, was one of the references of the Givenchy by Riccardo Tisci Spring/Summer 2011 Show. The feline inspiration of the Givenchy by Riccardo Tisci Autumn/Winter 2011-2012 Show was based on Roxy Music’s « For Your Pleasure » album cover, shot by Karl Stoecker, which featured Amanda Lear, leading a black panther on a leash. Other Roxy Music-inspired collections : John Richmond Autumn/Winter 2009-2010, MaxMara Autumn/Winter 2008-2009 (this show was influenced by Roxy Music-era London glam).